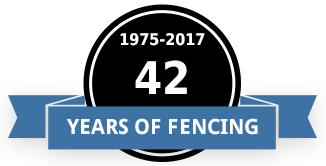 Welcome to Rustic Fence, Inc.
For 41 years, Rustic Fence Inc. has been one of the most trusted fencing contractors in Maryland serving Howard, Montgomery, Carroll, Frederick and Baltimore Counties. 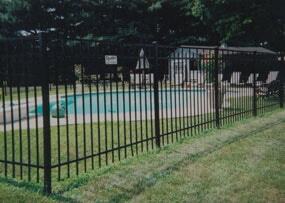 We strive to provide the highest quality residential and commercial fencing products and installation services to our customers. You’ll speak directly with the owner — no pushy salespeople or middlemen. No matter what, we have the experts, resources and building materials to help you with your project. We provide a complete range of fence products and services that will transform your yard into an ideal outdoor living space, perfect for entertaining and enjoyment. 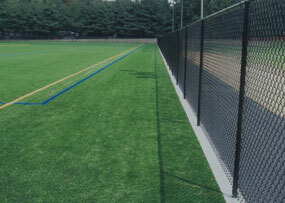 For our commercial customers, we can provide a wide array of fencing products for any need. Our services include providing fencing and installation for residential, commercial, athletic fields and facilities and more. We’re not scared of difficult projects — custom enclosures, sloped yards, security fences — you name it, we handle it! Whether you’re a professional builder, are all-thumbs, on a tight budget or just don’t have the time, we have the right fence installation for you using the best quality products for our fence designs. Our team is known for their courteous and caring personality. 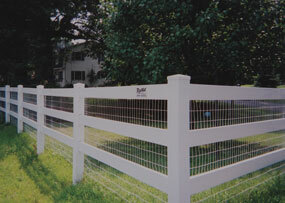 Rustic Fence has provided residential and commercial fence and installation services since 1975. We’re dedicated to providing you with the right solutions for all your fencing needs and serve clients throughout Maryland including the counties of Howard, Montgomery, Frederick, Carroll and Baltimore. Rustic Fence came when they said they would, and were readily available. Duane, our main contact, gave us very good advice and was very mindful of the property line. They even had to remove more brush in order to keep the fence as straight as possible, as we have a lot of trees. The team was fast, efficient and went above our expectation of completing the fence the same day. Duane, we really appreciate all the extra effort you spent completing our fence. 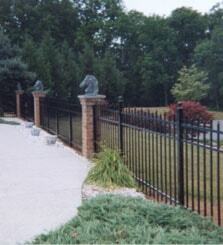 We will definitely refer Rustic Fence to any friends in need of a fence. Many thanks. Thank you for being so patient. Your company is first class all the way. Fence looks great and we get tons of compliments. Thanks so much for installing our fence. I love it. I’m so glad you could do the job even though it was a little far. I knew if Rustic did the fence, it would be nothing but the best!! Just wanted to say thank you for sending such a wonderful team out to build our fence. Duane and his team were professional and courteous. My husband is still raving about how the fence gives our house a finished look. We would like to thank you for the quick response we received from Rustic Fence. We called regarding one of our posts which is next to our drive gate which was not providing enough support for the gate. Not only was the problem quickly looked into, but the entire post was replaced much to our surprise. 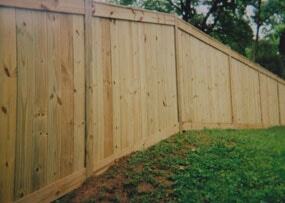 Rustic Fence is the kind of company that we like to deal with. If the need arises in the future, you will have our business.